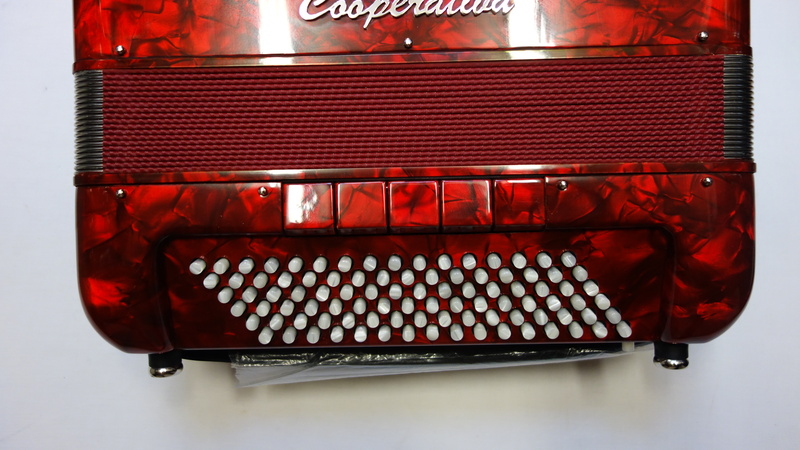 We are very pleased to present a brand new model, the Cooperativa 96 Bass 39 key Ballo Compact Accordion. 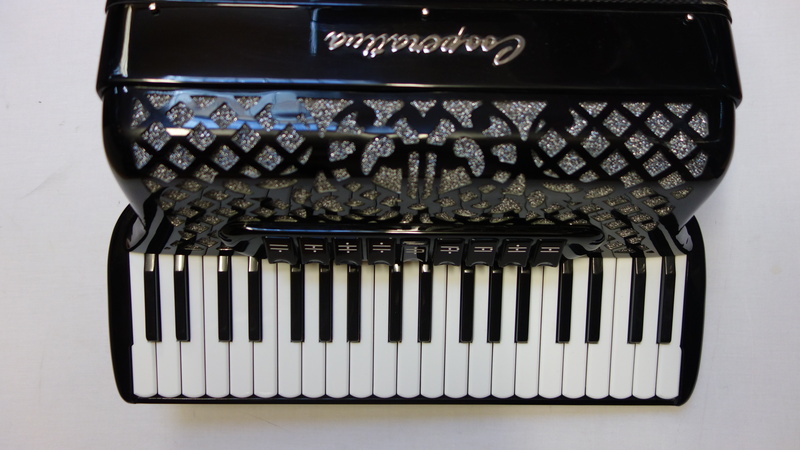 This innovative instrument has been designed and produced to our own specifications by the world renowned Cooperativa factory in the Italian town of Vercelli. 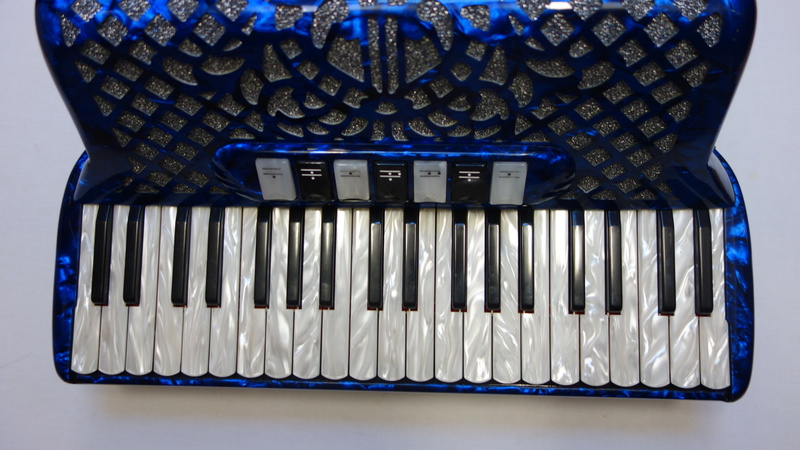 This professional standard accordion boasts Cooperativa’s patented “Ballo” extended keyboard system which allows for a unique range of 39 treble keys and 96 bass buttons, whilst still keeping the size of the accordion similar to that of a standard 34 treble key 72 bass button instrument. 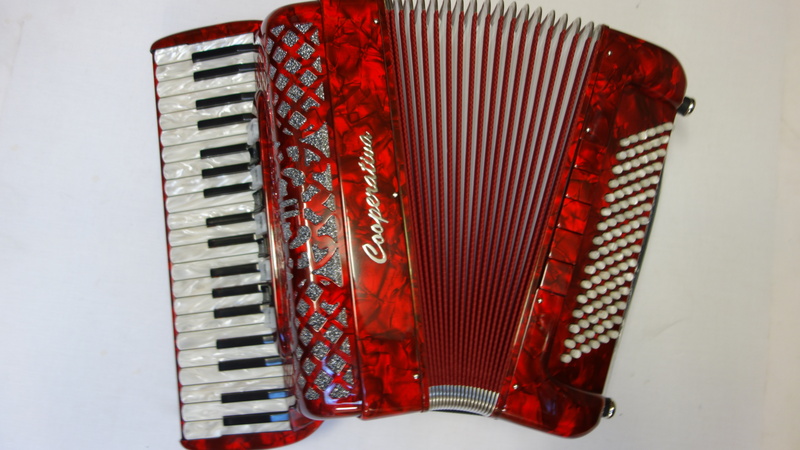 This brand new instrument is available in three different models, all with unique tunings. 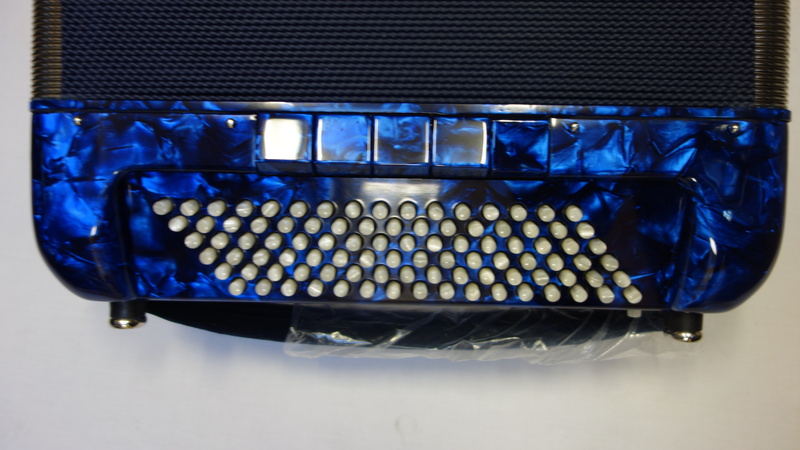 The “Paris” model features a four voice musette tuning, making it ideal for French and Scottish music, whilst the “New York” model boasts a four voice double octave tuning, which is perfect for the classical, jazz and Latin American, with the lightest weight version, the “Roma”, has a three voice tremolo tuning, which is ideal for the smaller player who wishes to save a bit of weight without sacrificing tone quality. 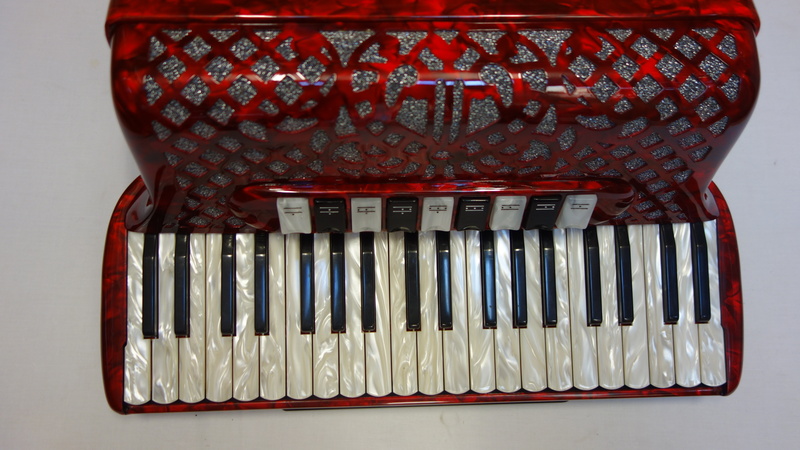 This three voice model is priced at £4,995. There is also a 72 bass 34 treble key version available, known as the “London”, which is similar in size to a standard 26 key 48 bass accordion Please follow this link for further details: http://www.theaccordionshop.co.uk/accordions/cooperativa-london-super-ballo-72-bass-accordion/ . 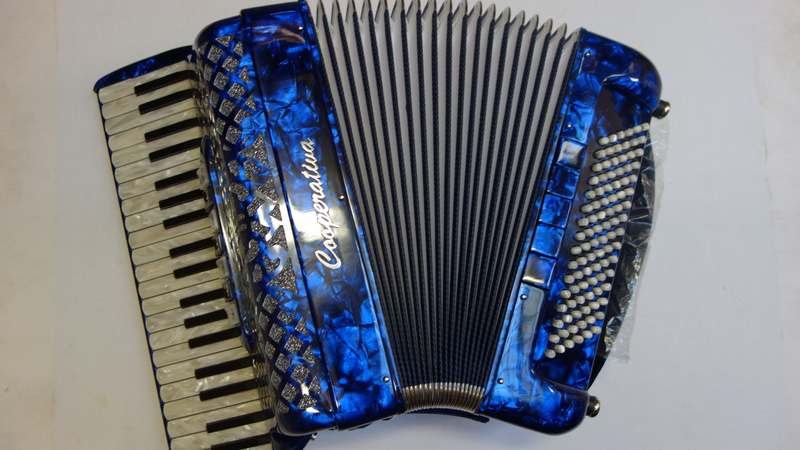 All of these accordions are available in a wide range of colours, including black, red, white and blue, with other colours available on request. 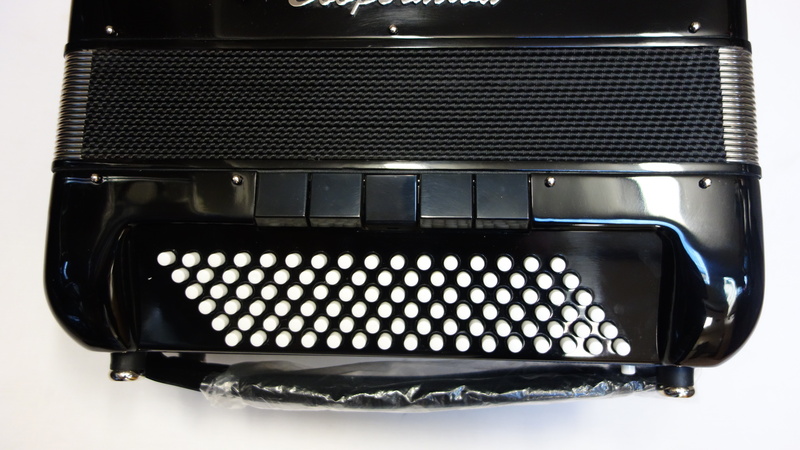 Please contact us for details of our current stock. 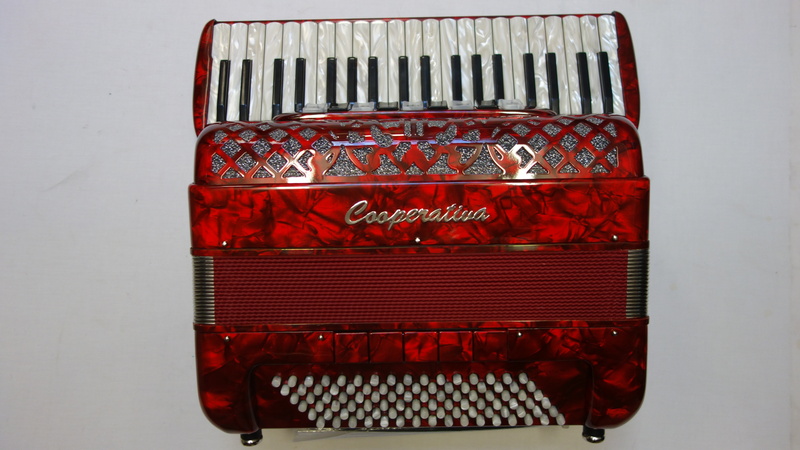 Cooperativa’s top of the range “Super Ceasare” hand made reeds can also be fitted if required. Please ask us for a quote. 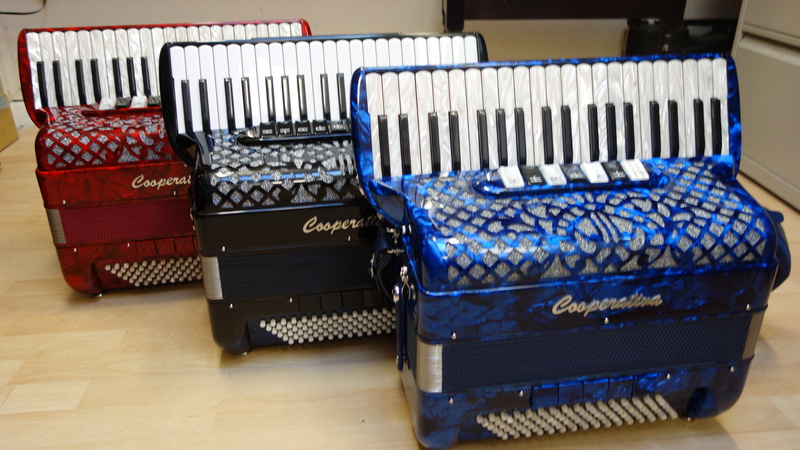 All of these accordions are available exclusively through The Accordion Shop. Contact us today to reserve yours! 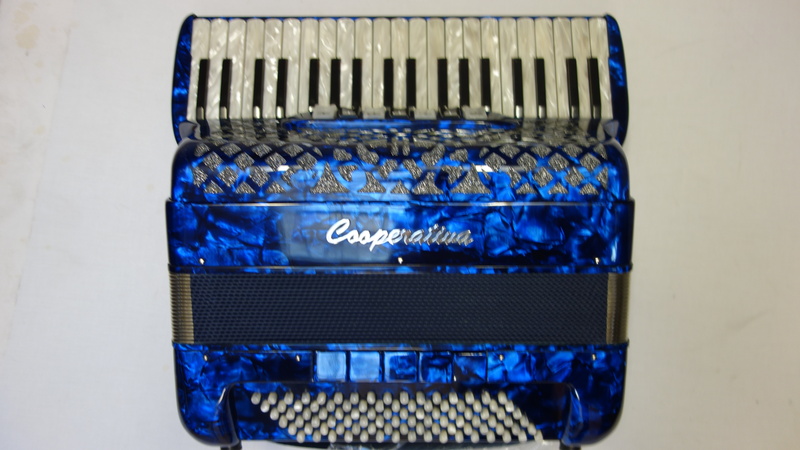 A 0% interest free loan is available subject to status on this Cooperativa 96 Bass 39 key Ballo Compact Accordion, via the Arts Council. Terms and conditions apply – please contact us for full details. 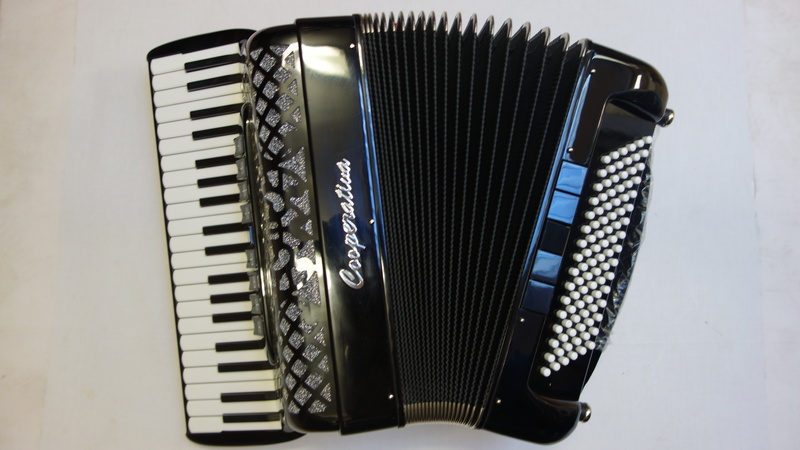 This Cooperativa 96 Bass 39 key Ballo Compact Accordion comes complete with your choice of either a soft gig bag or a hard case, padded shoulder straps and a 5 year component parts guarantee. 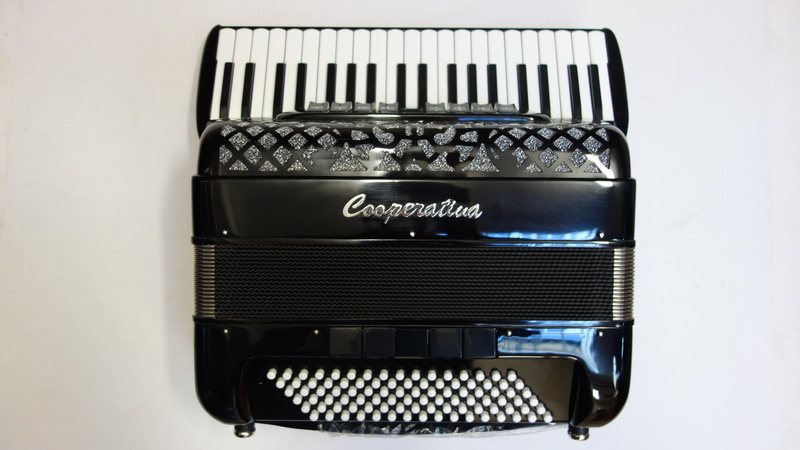 Don’t forget, free delivery of this excellent quality Cooperativa 96 Bass 39 key Ballo Compact Accordion to most parts of mainland UK is included in the price! Weight: 9.98 Kg. - 22 Lbs.